A beautifully modern chalet with a striking design and a clean interior with a swedish style, Chalet Christiane has a split level design over 4 floors which afford guests the maximum of privacy. The ski chalet is situated in the Oberdorf area of St Anton and conveniently located for the ski-lifts and resort central areas. 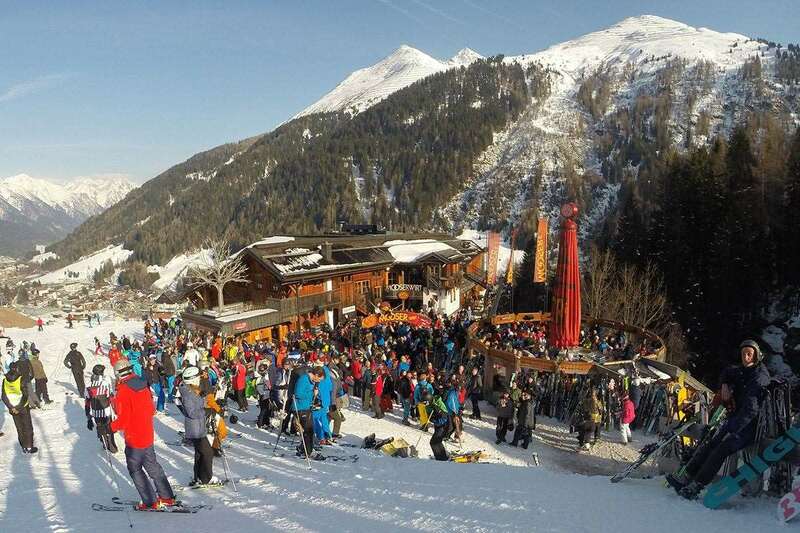 The ski bus stop is only 70 metres from the chalet which is 800 metres (a 6/7 min walk) downhill to the Rendl lifts. The pretty pedestrianised centre of St Anton is only a 15 min walk downhill from the chalet. The buses back run until quite late. Each bedroom is spacious and has a full ensuite bathroom. The chalet further benefits from a sauna with a room for relaxation. Your day starts with a hearty cooked and continental breakfast with fresh bread, cereals, preserves, porridge, yoghurts, fresh fruit, fruit juice, tea, coffee, plus a cooked option of eggs and one other cooked item such as bacon or pancakes. An afternoon tea with a freshly baked cake or biscuits will await your return to the chalet. Dinner is a nutritious home cooked three courses. House wines are provided in our chalets.